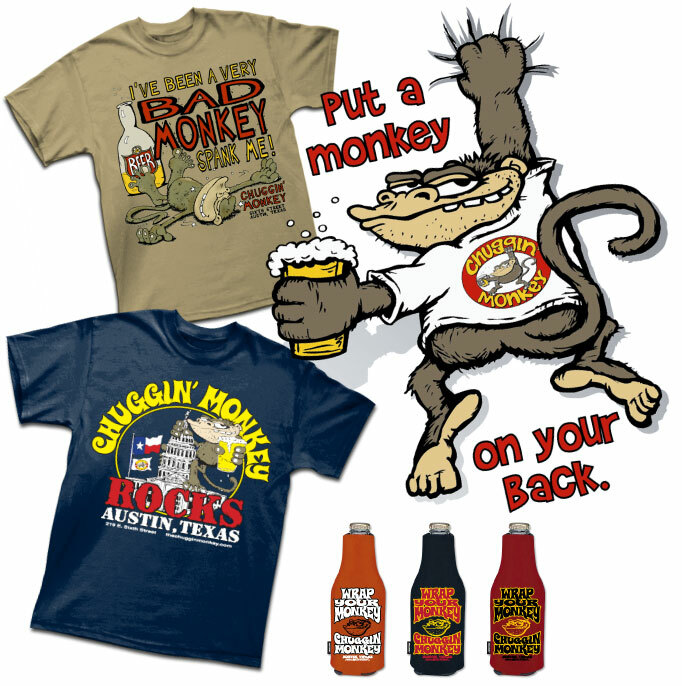 The Chuggin’ Monkey is a bar and live music venue located on world famous 6th Street in Austin, Texas. Outhouse Designs created their world famous logo - along with an entire line of fun merchandise. Never a cover. Long live the Monkey!